Edinburgh – Hostels in Edinburgh. Maps for Edinburgh, Photos and Reviews for each hostel in Edinburgh. Looking for a hostel in Edinburgh? Look no further, all the good deals in Edinburgh are on Dorms.com. Like thousands of other people every month, book your hostel securely at the best price in all neighbourhoods of Edinburgh. 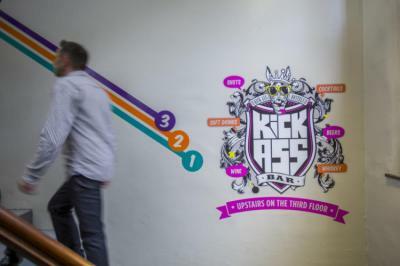 On this site, you can easily find a hostel downtown, in a trendy neighbourhood; a hostel in the student- university district, close to bus or train stations, airports or major attractions of Edinburgh. 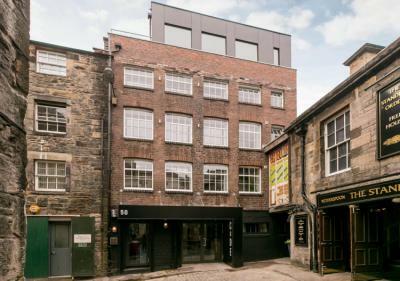 Located in the Grassmarket only 5 minutes' walk from Edinburgh Castle and 3 minutes' walk to Royal Mile, The Elephant House and Greyfriars Kirkyard. Grassmarket, Armstrong's, Edinburgh Castle, The Scotch Whisky Experience all 0.4 km away. Edinburgh Military Tattoo, National Museum of Scotland, University of Edinburgh, Edinburgh Festival Theatre and the Royal Mile are just under 1 km away. Edinburgh Airport is 10.5 km away. A supermarket, bars, cafes and restaurants are all here. 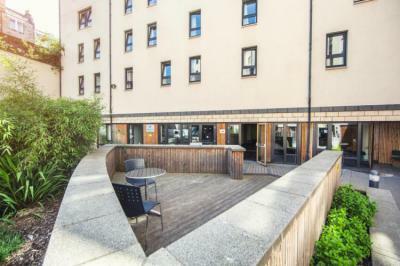 Located in the Grassmarket only 3 minutes' walk from Edinburgh Castle and 3 minutes' walk to Royal Mile, The Elephant House and Greyfriars Kirkyard. Grassmarket, Armstrong's, Edinburgh Castle, The Scotch Whisky Experience all 0.4 km away. Edinburgh Military Tattoo, National Museum of Scotland, University of Edinburgh, Edinburgh Festival Theatre and the Royal Mile are just under 1 km away. Edinburgh Airport is 10.5 km away. A supermarket, bars, cafes and restaurants are all here. Breath of youth in this inn. Location is perfect, clean your own personal locker and charging points. Very good everything. Zero negative comments. Enjoy being in Edinburgh's best location & being at the very heart of the city. We are a stroll from the bus, train and the airport bus and a 1 minute walk from Edinburgh Castle, 1 minute from the Royal Mile & 1 minute from the Grassmarket. We are in a relatively quiet street but the city's wonderful late night-life is also just around the corner - ideal! Edinburgh Airport is 10.5 km away. Supermarket,market, cafes, bars & restaurants all nearby. The Scotch Whisky Experience around the corner. We are located right in the centre of the Old Town of Edinburgh, in the oldest part of Scotland's capital, where gas lamps light up elegant buildings and cobblestone streets. All the main attractions of this beautiful city are a mere stone throw away. Stroll to the majestic Edinburgh Castle up the road, or take a quick hike to see the stunning views from Arthur's Seat. Only 5 mins stroll from Edinburgh Railway Station. Edinburgh Castle is a 10-min walk. Supermarket, bars, cafe's all around. The hostel is superb! The location is perfect (central, exceptional view). Small flaws: the toilets are closed in the middle of the day, the cleaning staff are extremely noisy even if some occupants were sleeping. This hostel is really huge with several lounges, kitchens ... But it is still very friendly where life is good! I really loved to spend my evenings there reading in the living room, playing guitar or billiards ... In addition there are plenty of parties organized where you can meet people and if you want to stay only it's totally possible too !! I had a very nice stay in this warm and more than comfortable hostel. Activities organized every night from Monday to Saturday can meet other travelers, in short I recommend 100%! 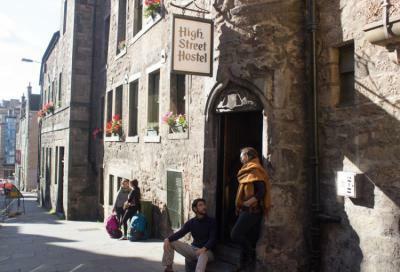 Very nice hostel, very well located (literally at the foot of the castle), a minute walk from the Royal Mile, and all, really cheap! Good atmosphere, there are activities offered almost every night, the staff is approachable and lovely, and the places are clean! Everything is in a medieval style, almost castle for the entry, then each room / dormitory to his theme, I love it! I booked a girls room, and although we were 12, everything was clean, quiet and respectful, frankly I'm delighted! I recommend with eyes closed! Small flat on the beds that are uncomfortable which can be disturbing in the long run. Many facilities available to practice. I spent 10 days at this hostel. It was magic. The staff is available and renders service as soon as it can. It's clean. The kitchen is huge, we often meet at meals where everyone has their meal that we share later. 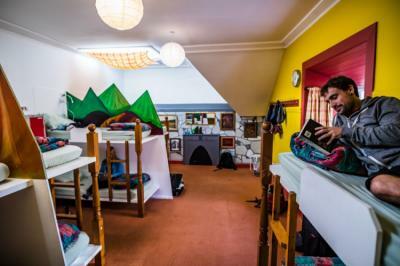 If you like an atmosphere of sharing, exchange and warm, you must go to this hostel! Stay at Safestay Edinburgh and you’ll be within easy walking distance of The Royal Mile, Clifford’s Tower, Edinburgh Castle, The Grassmarket, National Museum, The Edinburgh Dungeons and much more! We are located within walking distance of most major sights and we are conveniently located on connections from and to the airport. The train and bus station are just a few minutes by foot from our hostel. We are 10 minutes walk of Edinburgh Waverly Railway Station, while Edinburgh Castle and the old town can be reached in around 15 minutes by foot New Town is a great for tourist attractions, ancient landmarks and scenery. Restaurants, bars, cafe's, shops and supermarkets are all right here. Location is excellent. Luggage storage. Individual lamps in bed. Quiet at night. It&apos;s right in the city centre, there are huge lockers in each room. Lots of windows and ventilation in the room and surrounding corridors. Nice central location but not very noisy. Good stay and I loved the "code" concept. The day before they send me a code and I could enter the property and the room with no problem, no need to bring keys everywhere you go and it is a cozy and clean place. What else can i ask for? 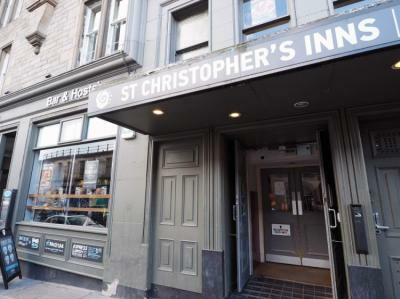 St Christopher’s Edinburgh is located in the centre of the Scottish capital amongst the charm of the Old Town - right next to Waverley (central) station, opposite the Edinburgh Dungeon and minutes walk from the Royal Mile and the Edinburgh Castle. From a legendary line-up of visual arts festivals to famous comedians and bars fit for only the finest of crawls – Edinburgh has it all. 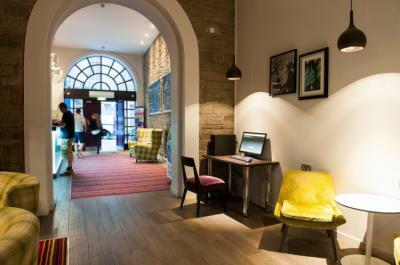 Open during the city's notorious summer months, Euro Hostel Edinburgh Halls will be your ultimate residence to soak up the selection of events on offer. 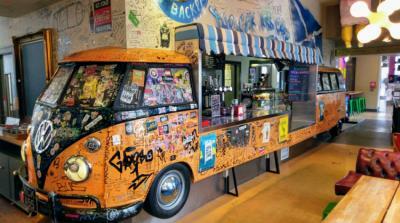 Save your pennies and spend the rest of your budget on burger joints, cool culture and cosy cafes. L’ostello è veramente ottimo: i prezzi sono bassi, ma nonostante ciò i confort ci sono tutti; i letti sono forniti di presa elettrica, presa usb e lampada indipendenti; il Wi-Fi gratuito funziona benissimo e senza limiti di tempo. Oltretutto la struttura si trova in pieno centro e permette di raggiungere a piedi praticamente tutte le attrazioni principali in circa 5 minuti, altrimenti la fermata del bus è a circa 200 metri. È convenzionato con due pub che si trovano sotto la struttura, per cui cibo e bevande sono scontate del 25% e puoi fare colazione con soli 2 pound. Veramente perfetto. Convenient for Fringe events. Excellent customer service from Jordan and manager Ashley when we had a serious complaint. The property was close to all the action in Edinburgh - perfect if you want to have it all on your door step!